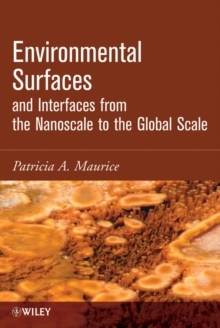 Based on the author's 15 years of teaching water-rock interactions and tried and tested in the classroom, Environmental Surfaces and Interfaces covers everything from the theory of charged particle surfaces to how minerals grow and dissolve to new frontiers in W-R interactions, such as nanoparticles, geomicrobiology, and climate change. Numerous case studies help contextualize concepts while chapter-ending practice and thought questions facilitate comprehension. The text provides basic conceptual understanding along with more complex subject matter to encourage students to look beyond the text to ongoing research in the field.